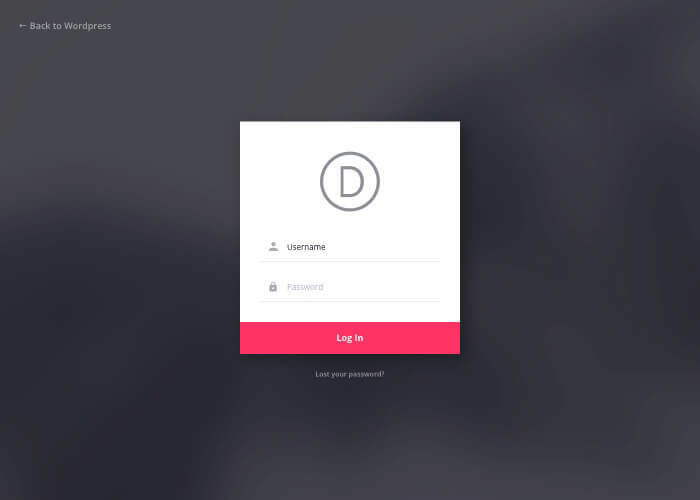 In this post, you’ll learn how to build custom WordPress login page with both Divi and Extra themes. 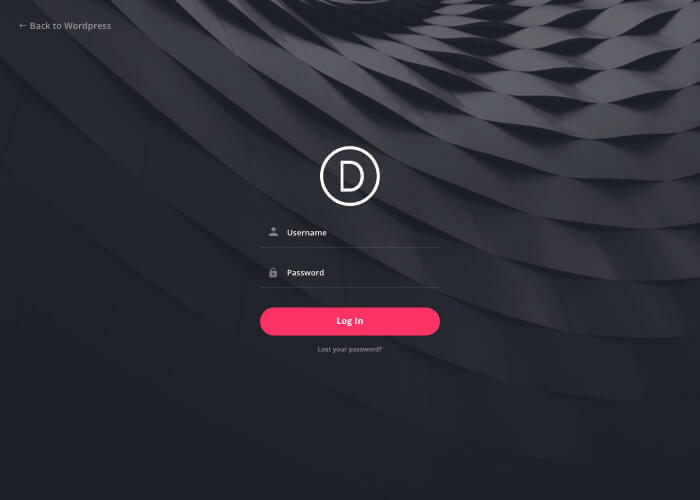 Before Elegant Themes releases Divi 3.0, they made a 100 days series of free amazing Divi stuff; layouts, layout kits, tips and extensions. 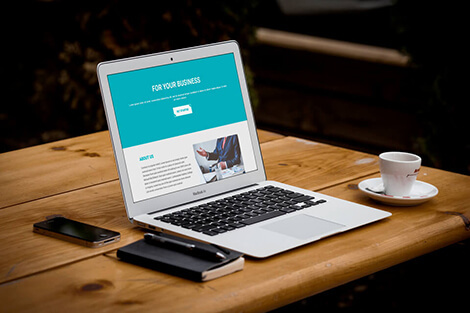 One of the coolest extensions they offered was Custom Login Page Extension which gives you and your clients who use the default WordPress login page a great user experience. 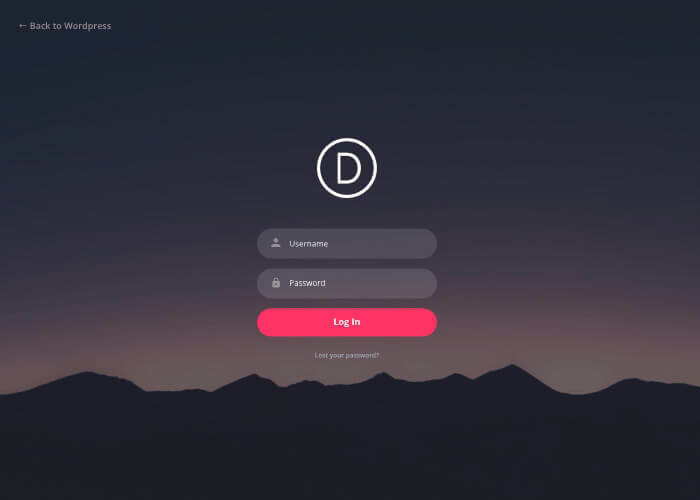 With this extension, you’ll be able to build custom login page for Divi theme. 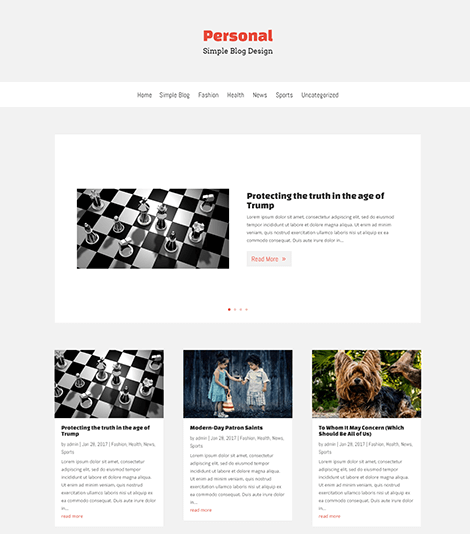 Unfortunately, That extension was released only to work with Divi theme! 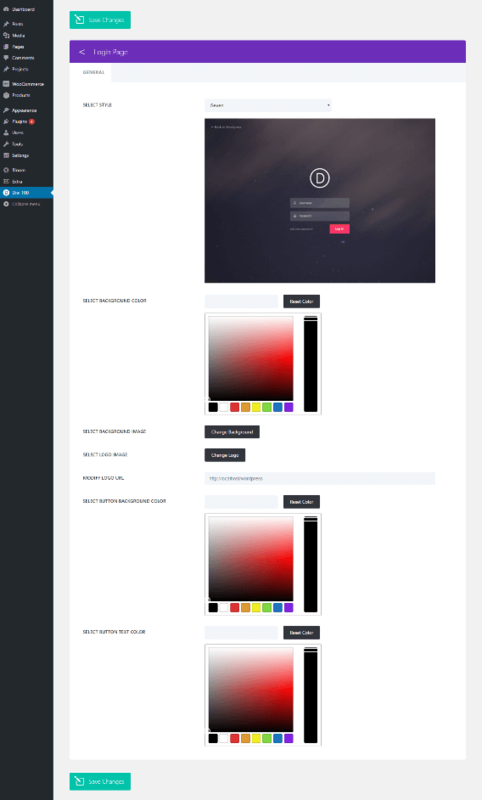 and since there are a lot of users useExtra theme including me, I found it to be very useful to edit this plugin to work with Extra theme too and share it with you guys. 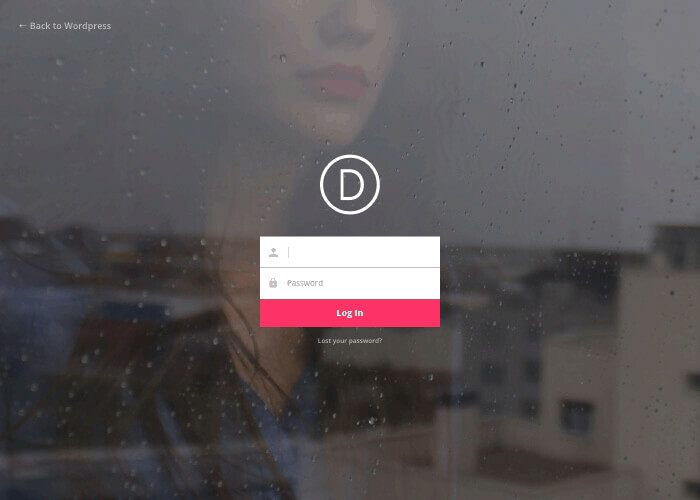 After you install the plugin, a new page will be added to WordPress admin menu called Divi 100. 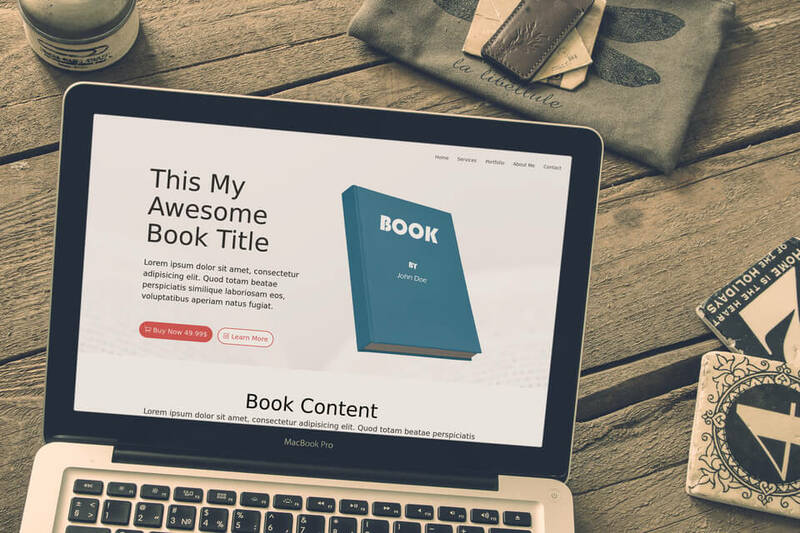 The plugin comes with 7 different login styles with the options to change the background color and background image, also you can change the default WordPress logo with your own and login button text color and background color. If you find this plugin useful to you, please consider sharing it with the community. I love it, and thank you. But why isn’t there an option to change the logo size? The plugin developers didn’t include that feature, I just made the plugin to work with Extra theme. 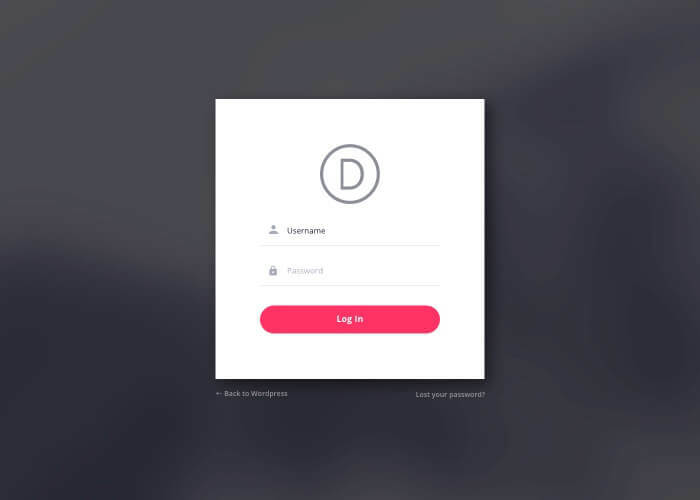 But still, you can change the logo size very easily using CSS in this file divi-100-login-page/assets/css/style.css and edit the line number 58 to the width you want. Very well written information. It will be helpful to everyone who employess it, including yours truly :). Keep doing what you are doing – looking forward to more posts. 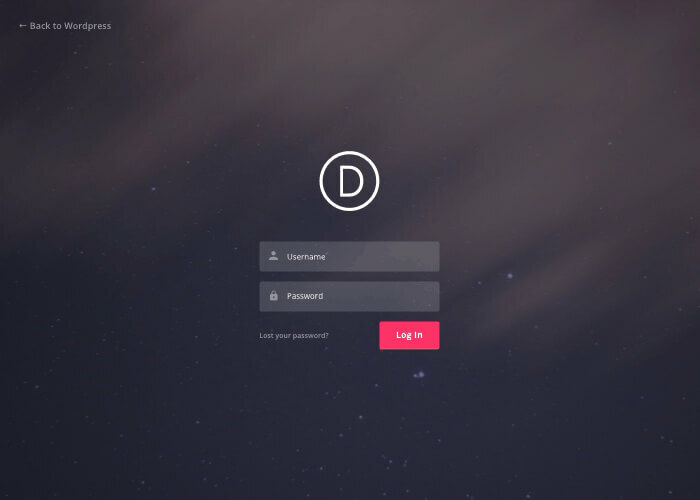 did you experience issues with the “RESET PASSWORD” feature when using the plugin of divi? I never faced this issue before but I just checked and I confirm the issue. I’ll look into it and release a fix. Thank you for this plugin modification for us EXTRA users.